Ray Johnson Estate Ray Johnson. What's in a Name? Ray Johnson. What's in a Name? This exhibition examines the social networks Johnson created in his collages using names as the driving aesthetic and conceptual vehicle. Ellen Levy. What's in a Name? 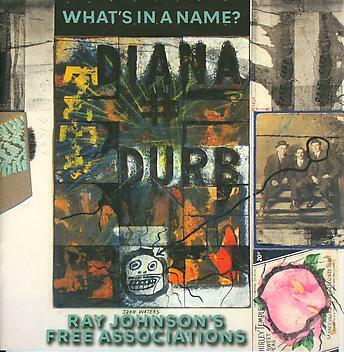 Ray Johnson's Free Associations. Edited by Frances F.L. Beatty, PH.D. New York: Richard L. Feigen & Co., 2011.